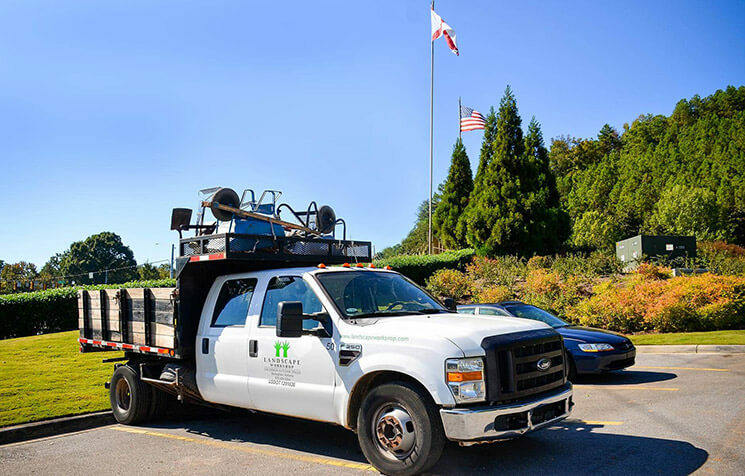 Our dedicated construction division can bring your vision to life by working from our own designs or from architectural renderings. 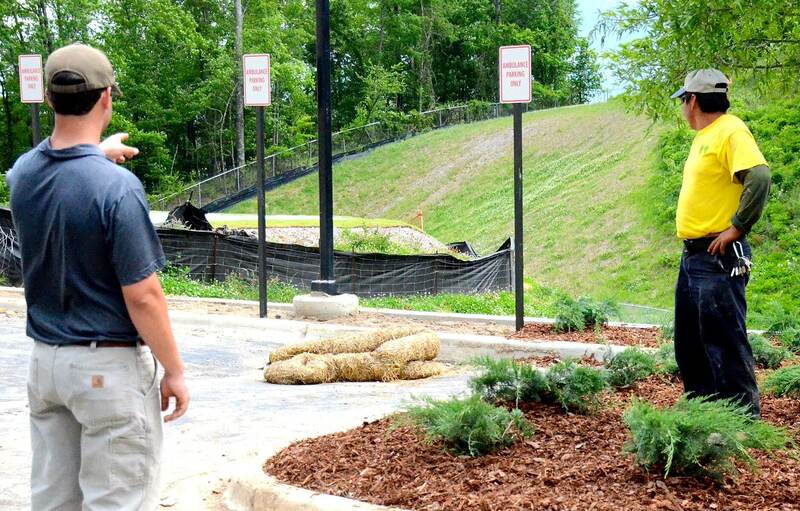 This division is responsible for large scale landscape installation on new commercial construction job sites as well as large residential developments. 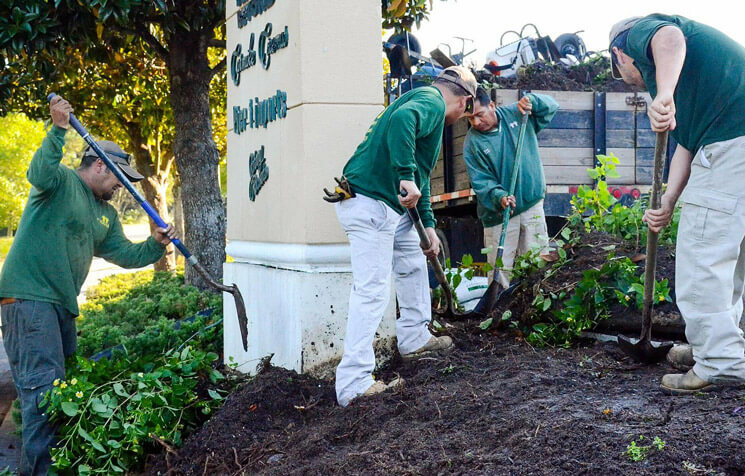 Each of Landscape Workshop’s branches also has enhancement crews that are responsible for landscape installation at our clients’ properties. 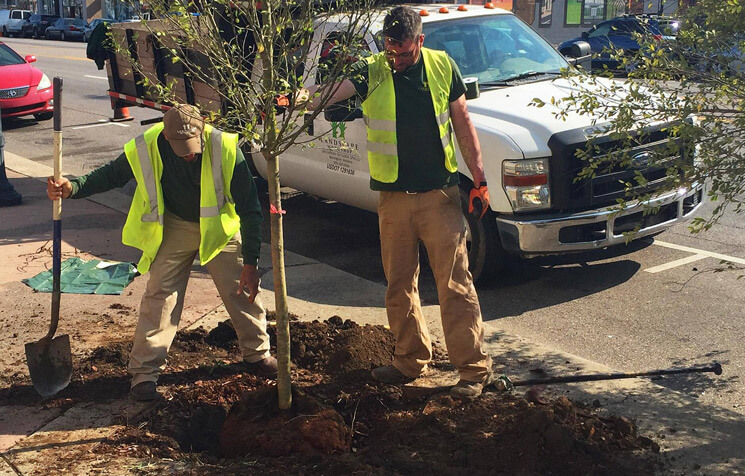 These crews work with Account Managers and our Regional Floriculture Designer to install new trees, beds, and/or turf. Our certified irrigation technicians and crews are capable of installation and repair of multiple types of irrigation systems. 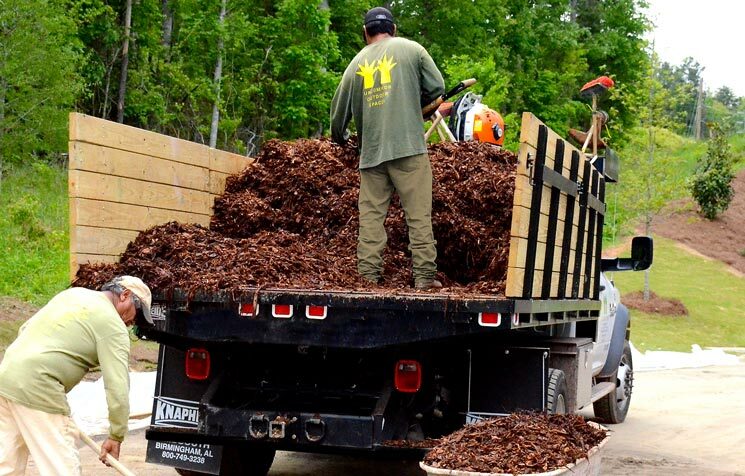 They are equipped with the latest tools, technology, vehicles, and equipment. 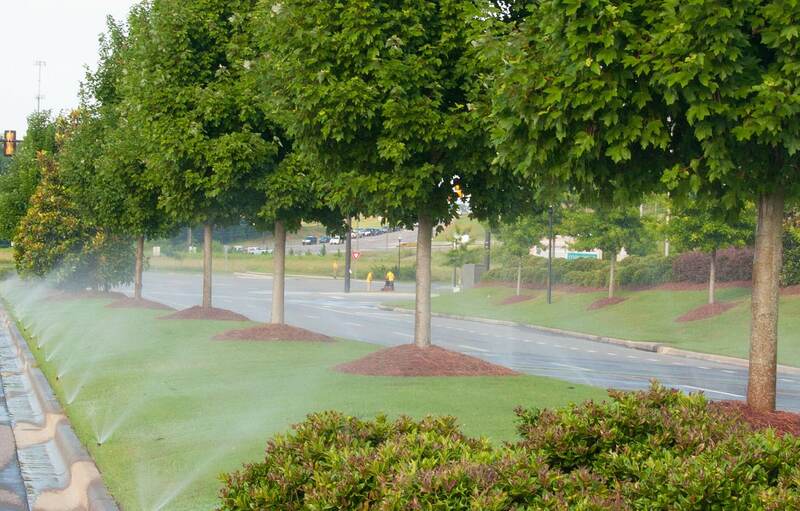 Landscape Workshop can also provide resources to diagnose and repair any issues that your irrigation system may have. 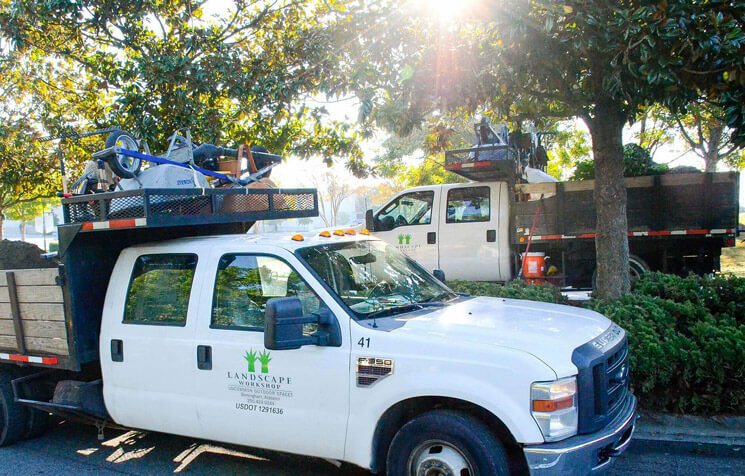 From the smallest breaks and leaking valves to the most complex wiring issues, our certified and trained staff is available on short notice when a customer has a need. Recent projects/clients include the UAB Hill Center, Intergraph’s Corporate Headquarters, the expansion of Bridge Street Town Center, UAB Medical West, South 10 Apartments, Alagasco and multiple schools, churches,stand-alone retail locations, as well as supporting residential development for Signature and Embassy Homes. For a printable list of our construction services, download the PDF. 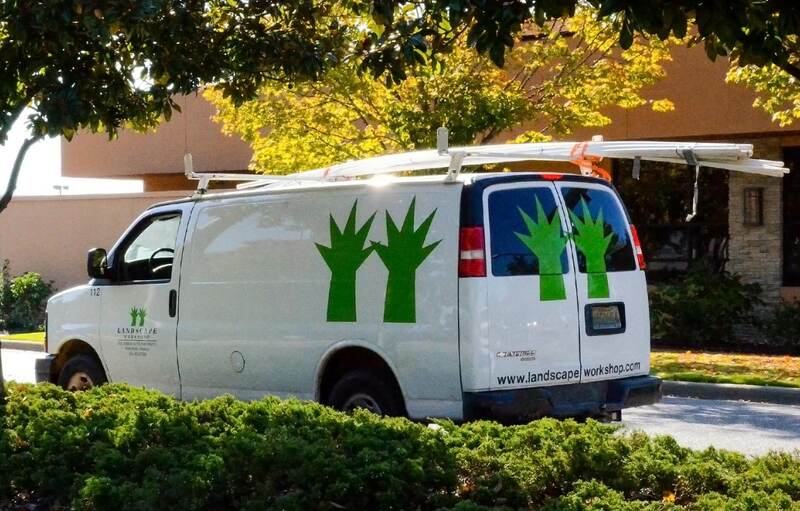 "Going forward there is no doubt in my mind as we acquire more properties who our landscape company will be."